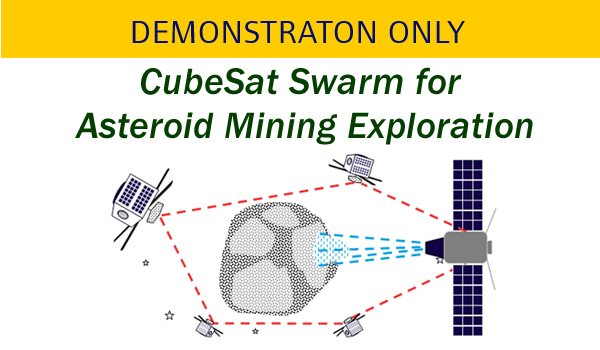 In-expensive CubeSats the size of smartphones will be mass-produced to operate as miniaturized units in swarms tasked with reconnoitring asteroids and the moon for water, precious metals and organic material. Different CubeSats will have different roles, be fitted with different detectors, or act as communication points in the swarm. Space Resources as an industry is set to take off, and finding and detecting the most valuable materials on asteroids and on the moon will be a new industry. As the cost to launch hardware into space decreases, and technology advances meaning space craft are smaller, smarter and less-expensive, the cost of exploration decreases and becomes a competitive business model to that of on earth.